Grow Home is coming to PS4 on September 1st. Yay! Even better, you get to decide if it’s going to be free for all Playstation Plus members as we’re featured in the new “Vote to Play” campaign. We’d love your vote, and we’re excited to know what you think of it! Developing the game has been a real adventure for us. It actually started as an experiment in procedural animation, but even in the early stages we could see a unique charm and personality coming from the way our character moved. The more we tinkered, the more we felt compelled to try and build a game around it. At Reflections, we’re used to working on big team, big budget, high-profile titles. Creating a smaller game like this was very new to us, so we had to take a different approach. A tiny team of eight set about building a game we could share with Ubisoft staff around the world — we wanted to prove that we had something fun instead of promise it. The game spread internally, quickly reaching the desktops of top management who jumped on board giving us the go-ahead to officially launch it. As you make your way toward the sky, you’ll discover other ways of getting around faster. That’s where discoveries like the teleportation pads, bouncing leaves, flower parachutes and leaf glider come in. It might be safer to grow and climb everywhere, but once you have a glider or parachute to use if you fall then you’ll begin to push yourself to take bigger and bolder risks — jumping, bouncing, gliding, and falling with confidence. We wanted to challenge how we make games at Ubisoft Reflections. 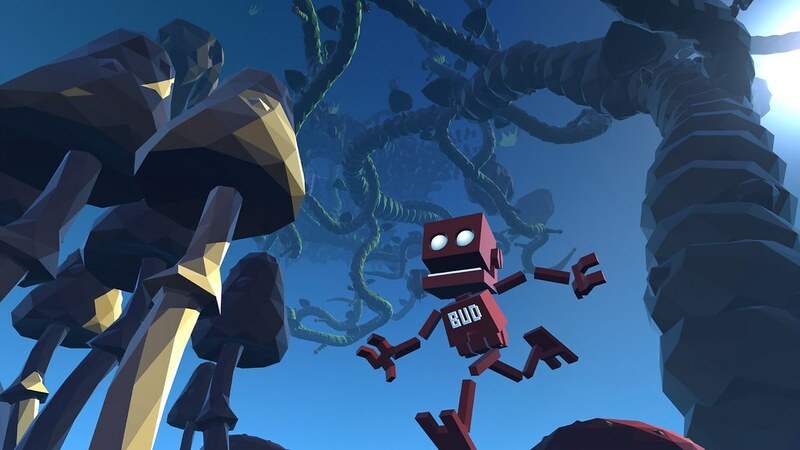 Grow Home has given us a chance to experiment on a much smaller scale than we’re used to. It’s a project born out of our passion for games and a determination to do things differently. We feel we’ve created a beautiful and intriguing world that invites you to climb that next ledge and see what new surprises you’ll find. We hope you enjoy the adventure! Not really my cup of tea but if the price is rite due to not being free I would likely add this to my digital collection. Ok guys, I was undecided between your game and “Zombie Vikings”, but Im putting my vote to you. Game looks very unique, fun and challenging. We won’t know pricing till release for the Playstation but if it’s like steam than I would rather have Sony give Plus Members the more expensive game (Armello) & purchase the cheaper popular one (Grow Home). Price isn’t everything…Aliens: Colonial Marines was 59.99 at launch. Not saying these 3 titles are as bad as that garbage, but worth considering. Everything will go down in price and be on sale eventually. Go with what deserves it, and try to look passed the price if you can. ABSOLUTELY NOT! Armello is the better game. This doesn’t even have multiplayer. It’s irresponsible that they’re trying to tell us who to vote for. Armello is an incredible game, one of my favorites. Plus, it’s the most expensive. It just makes sense. 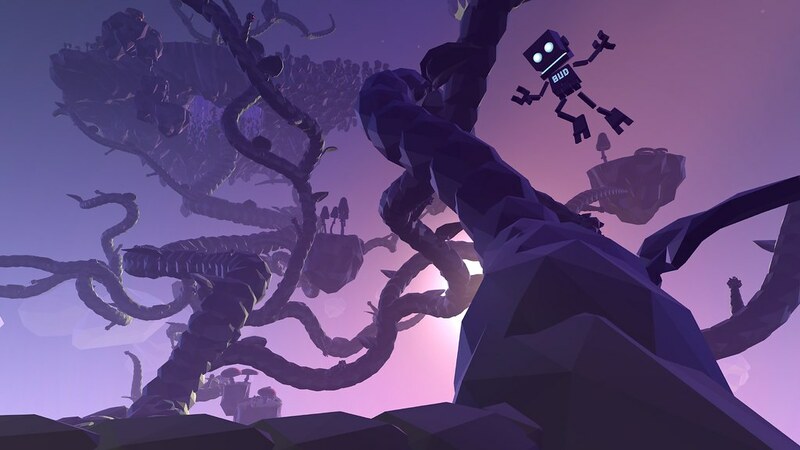 With Grow Home, you can play it once, it’s just a platformer. Armellow changes every time you play. Wow talk about nonsense.Armello is the worst game by far…100% boring. Multiplayer who**** like you are a joke in the gaming community,games without MP are usually the best. @Welmosca Those with more in their lives than video games are more intrigued by multiplayer experiences for a reason; it’s easier to justify time invested when spending that with other people. Do you have any sort of empirical evidence showing any sort of connection between a game’s multiplayer, or lack thereof, and its critical reception? Or are you just being an angry hermit? Are you insinuating that spending communal time with others online is a better, more positive experience then a Single Player one? If you’re looking for a story, or want to make an significant changes to the world in which you enter, then no. Multiplayer does not do that. It is mindless competition for the most part, and rarely gets you to really think. I’m not saying it doesn’t requiring thinking to play, or skill, but it doesn’t get you to think afterwards. A good book, movie, video game, comic, conversation, documentary, t.v. show, or story can stick with you forever. That multiplayer match may be cool, but it’s not going to have any permanent significance. Socially, it’s not a bad thing, if you are indeed social about it. You can easily play multiplayer games in solitude if you want to, but it’s not innately a superior experience to have multiplayer in your game. It’s fun, but I prefer a Single Player, story driven, artistic-driven game any day. Price doesn’t make a game good either. You can see my previous response up above, but to save you the trouble, Aliens: Colonial Marines…Enough said. Price varies, and lowers over time. Look at the quality. I’m not saying Armellow is a bad game. Frankly, I haven’t done enough research to give my vote quite yet, but don’t assume it’s better cause of a list of features. It’s the quality of said features that matters. And of course, personal preference is always going to factor in people’s decisions. I don’t have a lot of time of my own either. But I’d much rather escape the world and enter a new one of creativity and though provoking experiences, with the reality that a creator has chosen to share with me, then join the masses of people that care way too much for stats. I suppose it’s kind of the same reason I don’t enjoy watching sports. Stats and all…Not interesting, but that’s another story. The point is, multiplayer is not always the better option. It’s fun, but not for everyone. Definitely not my preferred choice. It’s just too obvious that it’s just a game, and not a world in which you are entering/exploring. To those of you who have PS+ do you get constatant advertisements when you’re on the store telling to to purchase it? I am and i am also not able to cast a vote now i tried chat and they said my Plus subsciption shows as active on there end (something i already knew because i payed for it…) When i sign in here https://www.playstation.com/en-us/playstation-plus/ it says my account is expired though. Has anyone had this kind of problem? or know someone who has? This is what we need more of through PS+. I love me a good 2D sidescroller but we’ve been getting way to many of them. My vote has been cast for this and looks like I’m not the only one with this opinion since its in the lead at this moment. We’d love to see some kind of gameplay video to make better determinations of what exactly the game is. You have my vote once I log into the store today. Got ma vote for sure. Grow Home is by far the best game offered and the most logical decision to vote. If it doesn’t win,it’ll be just another proof of how people don’t know the meaning of a good game. Or it could be proof otherwise – if the majority go against you, there’s a pretty decent chance it might be you with the poor opinion. How is Grow Home the most logical decision to vote? 1) Grow Home costs $7.99 on Steam vs $19.99 for Armello once it’s released. 2) Grow Home is a short game with little replay value. Armello is a board game full of unlocks that has more game time and replay value. – Sure, Grow Home has been out on PC and has good reviews but they all say it’s short. – Armello also has forums saying it’s a fun game. Armello could also use the light bar for co-op or single player. It could use the speaker for dice rolls & card animation sounds. I do wish devs would use features. As for Zombie Viking isn’t it like the other 4 player couch co-op games we had on the PS3 like Castle Crashers, Scott Pilgrim, etc., what is unique other than the art style? Value is based on more than just the hours of gameplay vs price of product. The features list, or even multiplayer as well. I need to do more research on the games, and how they play before giving my vote, but basing your decision on the likely price, instead of the fun you’ll have with it, is the first wrong decision in that process. If the price is higher, but you won’t enjoy it, there’s no point. It might as well be $5.00. 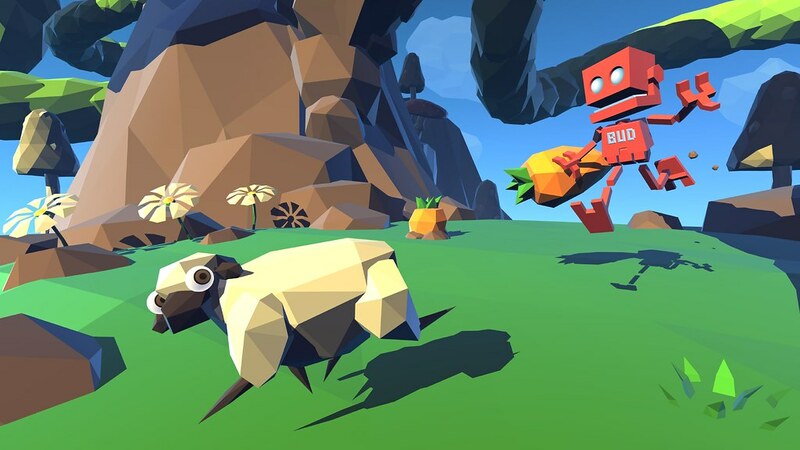 Grow Home is a 3D game that looks kind of neat. Definitely artistic! But again…I got to check out more first. Can this be the next ps plus game for free pls? To wade into the “more expensive does not equal better quality” argument abrewin’… Fine points being made on both sides. If, however, both games are quality (and from what I can see all 3 games up for vote have their perks and supporters) it makes sense to vote for the higher priced game to be free and buy the lower priced game at the discount it will receive. Of course, this only works if you plan on purchasing whichever games are NOT free… If you are only getting the one game that wins, by all means, vote based on which game you want most. But if you think you will pick up two or all three regardless of the voting, save yourself some money and vote for the higher priced game! If you think you will pick up more than one regardless of voting save yourself some money and vote for the higher priced game. Playstation Plus is also giving us the opportunity to try something out that we normally would not pay/play and we should take advantage of that. Look at Rocket League a lot of people said they would not have given that game the time of day or a dollar with their own money but thanks to PS+ they were wrong and thankful for getting to experience it with that program. We all know more about Grow Home and therefore for most of us like drd7of14 is saying it’s a safe bet and a lower risk and probably higher return for your own money and if all three were only available for money it would most likely win. Buy what I am saying & GunnerFCm is too is that (If you think you will pick up more than on regardless of voting save yourself some money). Very interested in this game and I am hoping this will be the free game next month. The other two don’t look that interesting to me comparing them to this game. I have this game already on PC but will vote for it anyway because I want my friends on PlayStation to experience it. It’s an absolute gem. Very glad it’s coming here too, well deserved. Looks epic, best of the 3. Change your vote to Armello Trust me you get more out of that game. close second, Im going for Zombie Vikings because of local co-op but I won’t be mad if this one wins. Can some one explain to me why this game has so many votes. I’m not hating or anything and will probably play it to try it if it wins. I just don’t see the appeal there’s little to nothing to do from what I’ve seen and it looks like it’s trying to hard to be art but hey i could be wrong some explanation would be more than welcome thanks. Looks like Mine Craft so I guess that’s the appeal. Climbing a bean stalk for 5 hours is not my thing, not sure why this game is winning. Rather play Armello with a group of ppl and just be chill. Smart vote would go to Armello, I bet ppl who vote this will regret or whine later. You have my vote. But, please dont make this game free. Make it like $1.99 or something. Dont let this great game be thrown down into the “never heard of it” group. 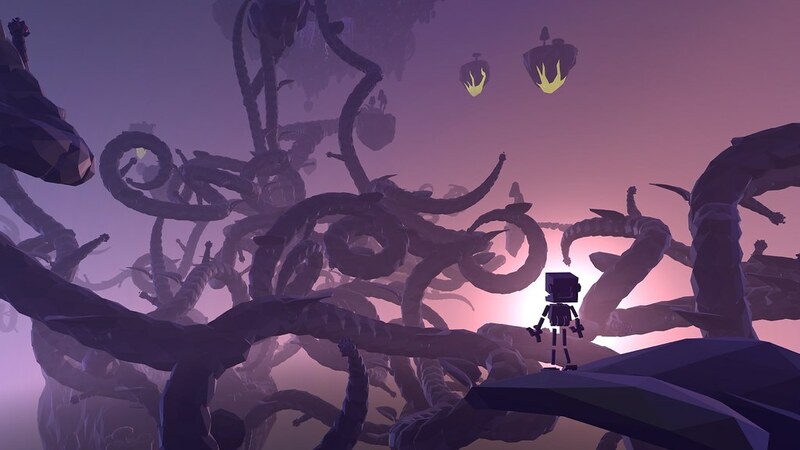 While I too loved Stick It To The Man, Grow Home gets my vote for being seemingly family friendly and potentially something I can play with the kiddos. Furthermore, the name is snappy and gets to the core of what this game is all about. A procedurally generated tree that grows toward our protagonists ticket home. Fascinating! I vote for grow home and can you add multiplayer to grow home please. you request multiplayer for a singleplayer game. Go ahead kids, vote for your robot and have fun with it for 2 hours. Yep, if you haven’t red the gameplay is 2h 20m for the main story and 4h 28m Main + Extras… That is all. No replay value no multiplayer. this vote system makes no sense. this game will be played by people not on playstation plus. so why not let everyone (who are also paying customers) vote for these games? isnt it enough that i play playstation, I have to pledge part of my income too? what is this, the catholic church? I played Grow Home last night… WOW!!! I love this game!!! Grow Home is one of the most original title-ideas I’ve played with in forever. It gave me a sense of “Super Mario 64 crossed with Jack and the Bean-Stalk, with a bot that has sea-legs like Captain Jack Sparrow”, as the only way I can describe it. Completely non-violent super-addictive fun! I started playing the game around 7:30pm last night and didn’t put it down until 11:30pm, when I had to go to bed (to get up in time to go to work).